Our practitioners all have several years' experience in their fields, and are all professionally qualified and registered with either the UKCP, the BACP or the BPC. This means that each is trained and qualified to a high standard, practising with integrity and to a high ethical standard, in accordance with their professional organisations' code of conduct. Our practitioners are listed below, with some information about their work and experience, as well as their direct contact details. You are welcome to contact any of our practitioners directly, or you can contact the practice to discuss your situation and what might be best suited to you. Nick is a psychodynamic psychotherapist working with adult individuals. He trained at WPF Therapy, a leading provider of psychotherapy training, and is a registered member of the BACP as well as a member of the International Association for Forensic Psychotherapy. He has extensive experience working with a wide range of issues, particularly with people whose difficulties manifest in their relationships with others, or the norms or expectations of their culture. He has previously worked with young offenders, homeless people and families affected by trauma or socio-economic issues and alongside his private practice, works within an NHS forensic service. He has developed a particular interest in working with people whose lives can be chaotic or who experience themselves as outsiders, or who struggle with anger, aggression or violent tendencies. As well as working as a therapist, Nick has developed and delivered training programmes and lectures in psychotherapy, and facilitates a reflective practice group for staff working in forensic services. Nick can be contacted on 07581 251192, or his website. Diana is an adult and adolescent psychodynamic psychotherapist working with a wide range of issues. She trained at WPF Therapy, considered to be one of the leading organisations in psychotherapy and counselling. She has a Postgraduate Diploma in Psychodynamic Theory and Practice from the University of Roehampton and subsequently completed a Diploma in Working with Adolescents at WPF Therapy in London Bridge. She has also trained in Dynamic Interpersonal Therapy (DIT) which is currently being used within the NHS as a time limited therapy. She offers both time limited and open ended psychotherapy. Diana has previously worked in the addiction field in both inpatient and out-patient primary care, and continues to work with those suffering with addictive behaviours in private practice. Other areas of special interest/expertise are self harm, eating disturbances, chronic illnesses particularly M.E/CFS and relationship/sexual issues. She is a member of the Foundation for Counselling and Psychotherapy and is accredited with The British Psychoanalytic Council (BPC). Diana can be contacted on 07856 601952 or via her website. Julia is a qualified and experienced BACP-registered counsellor providing both individual and couple counselling, offering time-limited and open-ended therapy depending on client’s needs. 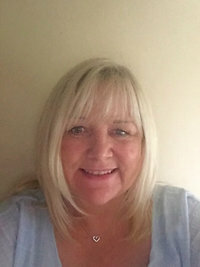 Her approach is humanistic and has trained with Havering College, Renew Counselling and Anglia Ruskin University, obtaining BA (Hons) in Counselling & Psychotherapy, a Diploma in Person-Centred Therapy and a diploma in Casework Supervision. She has extensive experience working with a range of presenting issues including anxiety, depression, bereavement, stress, abuse and trauma. As well as working as a therapist, Julia is also a qualified independent domestic violence advisor (IDVA), working with high risk victims and complex needs. She has 18 years’ experience working with Women’s’ Aid, Victim Support and Essex Police. Julia is also a trainer and has created and facilitated a range of personal development groups including confidence building, healthy relationships and anger control management. Due to her professional experience she has a specialism in the barriers and challenges in creating and maintaining healthy relationships. Joy is an accredited, BACP-Registered Counsellor, providing individual and couple counselling to adult clients. She practices primarily as an integrative counsellor, meaning she uses a range of techniques in her work, and holds the following qualifications: BSc (Hons) in Integrative Counselling; Advanced Diploma in Person-Centred Counselling; Post Graduate Certificate in Cognitive Behaviour Therapy and Advanced training in Pastoral Care and Counselling. Joy’s counselling experience and expertise is rooted in a nursing background and over 6 years working as a Primary Care Therapist in an IAPT Department of the NHS. Of significance to Joy’s integrative philosophy is the belief that as individuals we have the capacity for growth, and the potential to achieve a sense of wholeness which includes one’s emotional, mental, physical, psychological and spiritual health. Areas of counselling Joy deals with include Bereavement, loss and separation; feelings of low mood and anxiety; infant loss; low self esteem and confidence; childhood sexual abuse; pre-marital or relationship problems; and work-related stress. She has a special interest in counselling that is sensitive to Christian values. Joy also facilitates a Divorce Support Group, providing a safe place for anyone experiencing separation and divorce to talk about issues relating to this major life event. This group is based in Witham - please contact Joy if you are interested in learning more about this group. 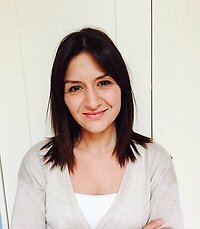 Dr Olga is a professionally qualified person-centred psychotherapist registered with the BACP. She works as a therapist with individual adult patients in a private setting. 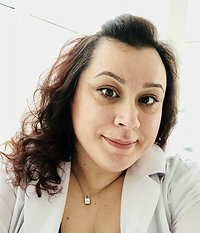 She is also a medical doctor working for the NHS, pursuing a career in surgical training and has direct clinical experience of psychiatry, including specialist experience of an inpatient eating disorders unit and general adult psychiatry. Olga keenly adopts a holistic, patient-centred approach within her therapeutic and medical practice, recognising the individual challenges her patients present with. She has an interest in the link between physical symptoms and emotional processes, including stress, anxiety, depression, irritable bowel syndrome, fibromyalgia, chronic fatigue syndrome, eating disorders and somatic symptoms. This includes somatic abdominal pain, fatigue, palpitations, pelvic dysfunction and headaches, which can cause severe distress and impact quality of life. Olga offers therapy sessions combining her medical and therapeutic expertise, offering a unique way of recognising the link between the mind and body to help effectively manage a wide range of healthcare issues. Olga can currently offer sessions during weekday evenings and on Saturdays and can be contacted via [email protected] or her website (under construction). While Warley Hill Practice thoroughly checks the qualifications, insurance and professional registration of each of our practitioners, the relationship is ultimately between the client and the practitioner themselves. Warley Hill Practice Ltd. provides space for practitioners and is not responsible for the work they provide.